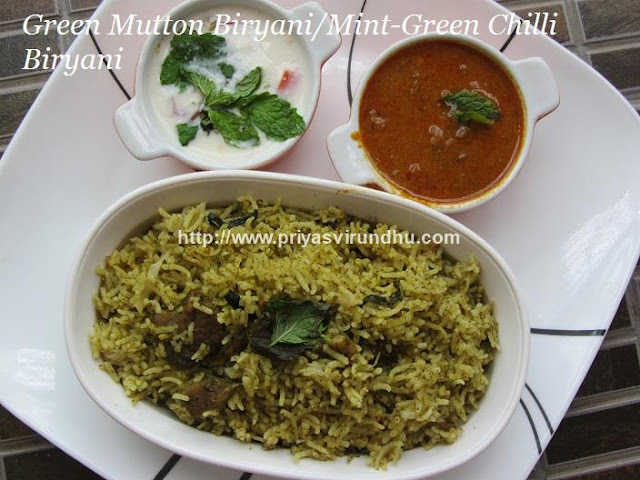 Today I am going to share a very interesting and tempting Green Mutton Biryani/Green Chilli-Mint-Coriander Mutton Biryani. This is very flavourful Green Biryani made with mint, coriander leaves, green chillies, black pepper paste and coconut milk. Do try out this Green Mutton Biryani and post your comments. Meanwhile do check out other interesting Non-Veg Biryanis and Veg Biryanis here, also check out Non-Veg Gravies here. 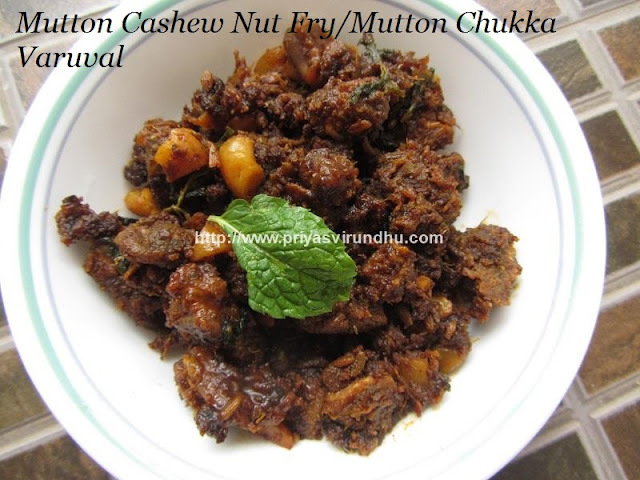 Mutton Cashew Nuts Fry/Mutton Chukka Varuval/Spicy Mutton Chukka –Sunday Special/Mutton Mundhiri Paruppu Varuval. 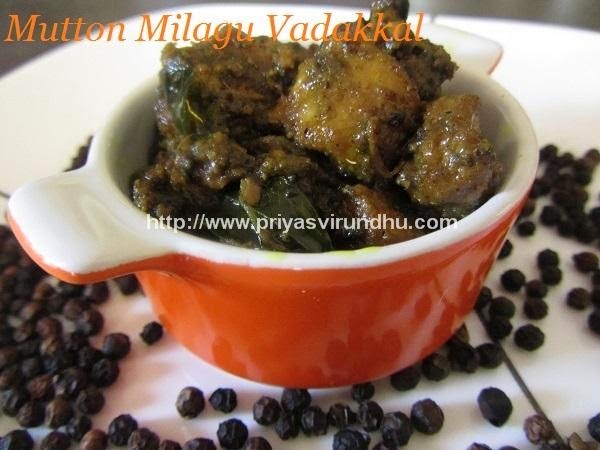 Today, I am going to share one of my mom’s signature recipes – Mutton Cashewnut Fry/Mutton Mundhiri Paruppu Varuval. I love this mutton fry a lot and mom usually makes this on a Sunday for lunch. The soft and spicy goat meat roasted well with perfect blend of masalas along with crunchy cashew nuts, tastes heavenly. My whole family loves this mutton fry a lot. It is a foolproof recipe which nobody can go wrong. 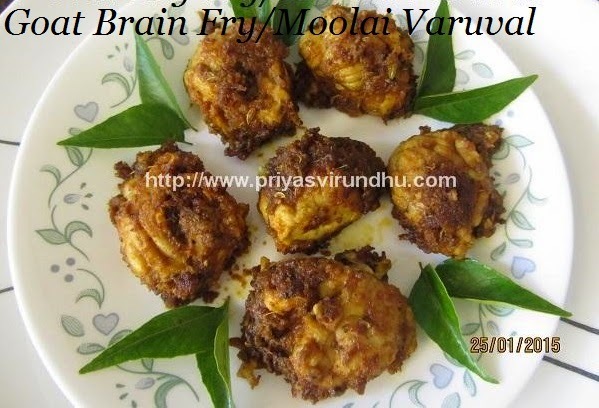 Do try out this tempting mutton fry and post your comments here. Meanwhile do check out other interesting Non Vegetarian Recipes here. 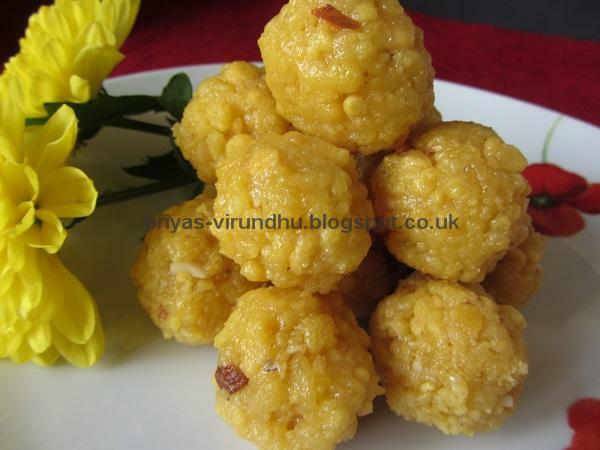 Today, I am going to share a basic and a common Kari Murungaikai kuzhambu made in all most all the homes in Tamil Nadu. 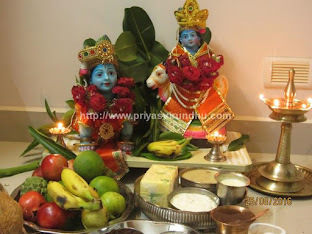 Though it is a very basic recipe, I had lot of request from my readers for this recipe. This is fool proof recipe which nobody can go wrong. According to me cooking is an art, adding right ingredients at the right time and cooking the food with loads and loads of love, makes it the best dish in the whole wide world. 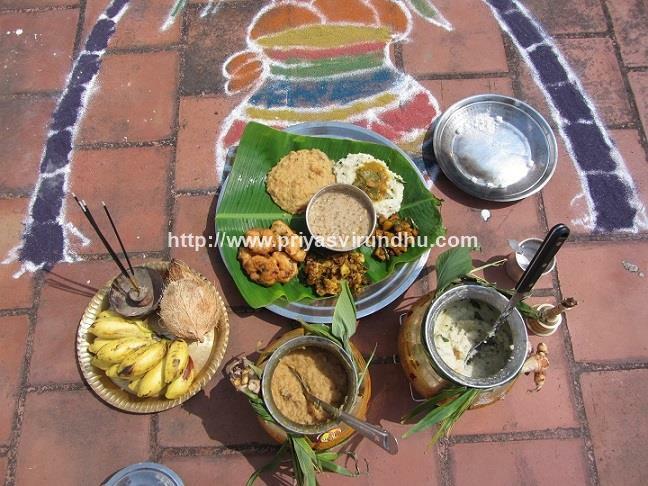 Any way friends do check out the Kari Murungaikai Kuzhambu, try it and post your comments here. Meanwhile do not forget to check out other interesting and tempting non-vegetarian recipes here. 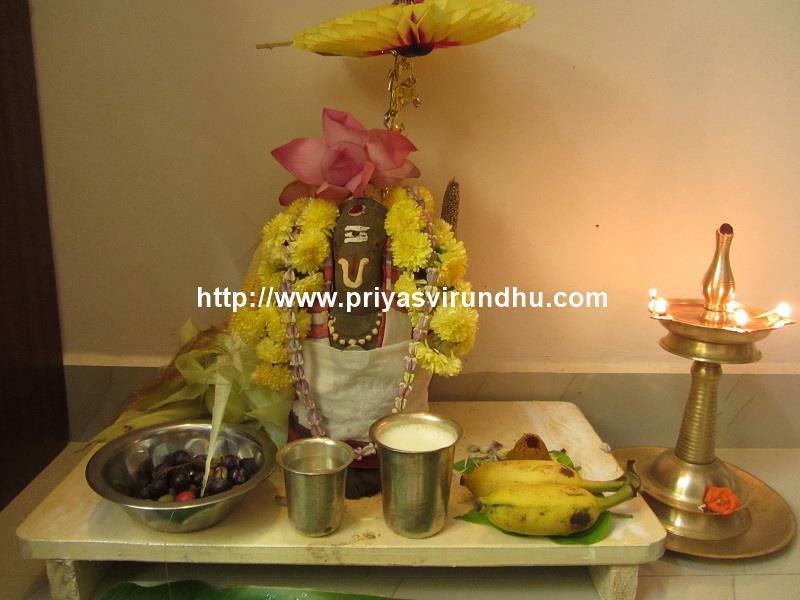 Here’s how to make Kari Murungaikai Kuzhambu with step by step photos…. Today’s special recipe from my kitchen or rather I would say from my mom’s kitchen is Aatu kaal Paaya. This is my mom’s recipes which I have always loved and fallen in love with since my child hood days. 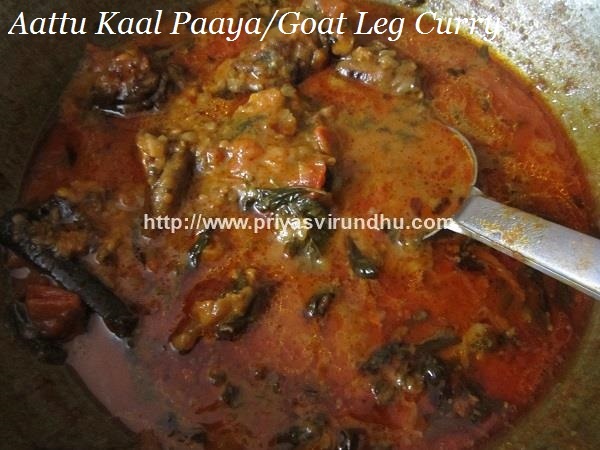 Aatu kaal Paaya is one of the best delicacies of South India. This aatukaal paaya is wonderful remedy for cold, cough and removes the phlegm from our chest. It also helps in increasing the bone strength and provides lots minerals needed for our body. 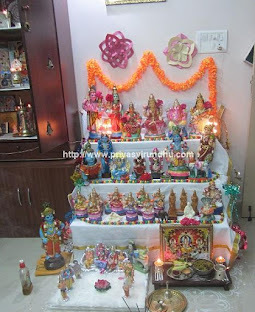 Do try out this traditional and authentic aatu kaal paaya and post your comments. 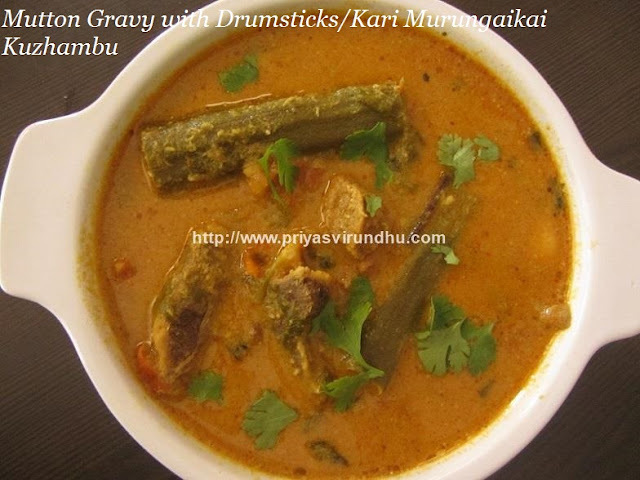 Mutton Kheema Masala/Kotthukari Masala is our families all-time favourite. It is a perfect side dish for rotis, naans and parathas. This Mutton Kheema Masala is one of my mom’s best recipes. 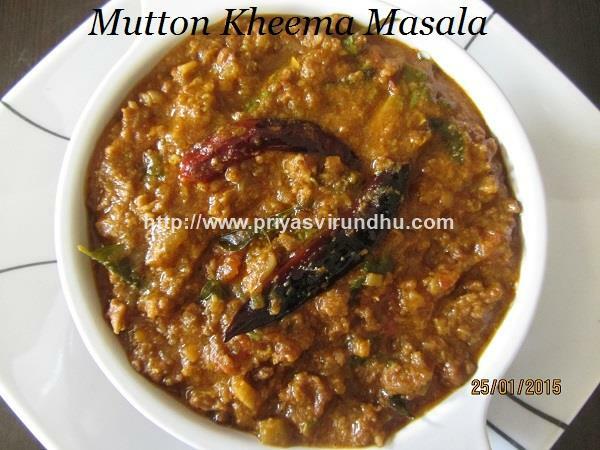 Do try out this Mutton Kheema Masala and post your comments. Do check out other Non-Vegetarian recipe s here. It’s been long time after I posted any recipe, sorry for disappearing from the blogging world. Now that does not mean, I ain't cooking or clicking photos. It is just that I was preoccupied with a few things with family and kids. 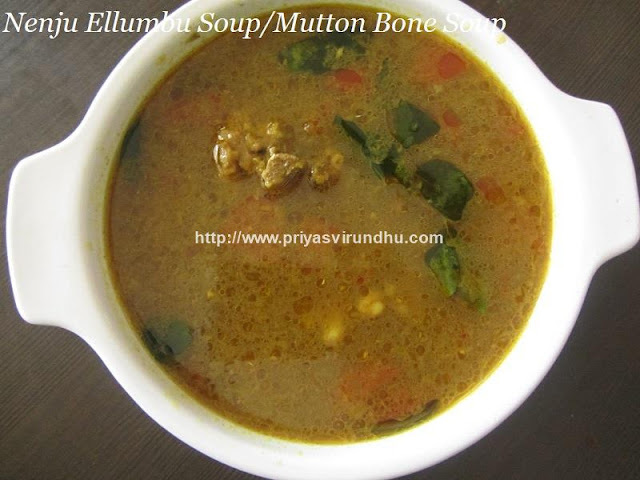 Any way friends, to make up for all those, I am going to share a super duper easy and quick Mutton Milagu Vadhakal which can be made with very few ingredients. Though it is made with few ingredients the taste is just incredible and you will instantly fall in love with this dish. Do try it out friends and post your feedback.